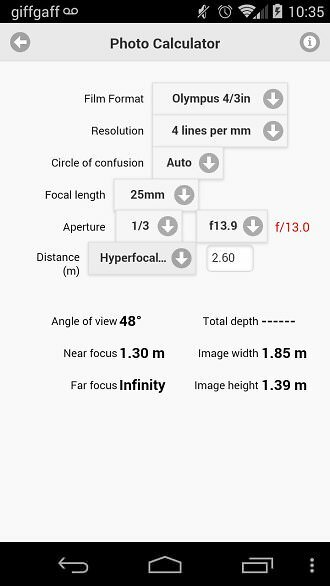 Gary Wolstenholme reviews Douglas Software Depth Of Field and Hyperfocal Distance Calculator available for Windows, OS X, and smartphones. Once upon a time, every lens that you fitted to an interchangeable lens camera had a hyperfocal scale etched onto the barrel. This useful information helped to show exactly how much, or little of your image would appear in sharp focus for a given aperture and focus distance for that lens. Modern lenses nowadays often neglect to include a hyperfocal scale, or even distance markings to help gauge this, often leaving the photographer to rely on experience, guesswork, or by using the depth of field preview on their camera, if they're lucky enough to have that feature. Depth Of Field & Hyperfocal Distance Calculator, by Douglas Software is a useful utility, available for Macintosh and Windows based PCs, as well as portable devices running on Apple's iOS, or Google's Android operating systems. 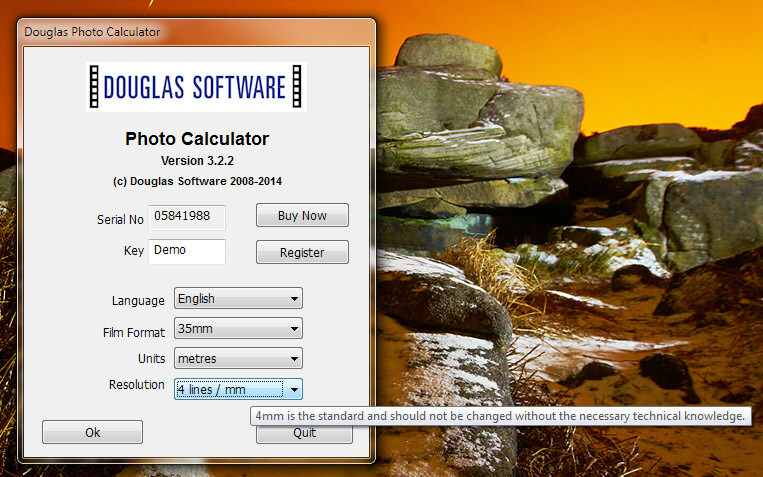 The information provided by this calculator should help to take some of the guesswork out of your photography. In this review, we'll take a look at how it performs. Different versions of the software carry slightly different prices. Desktop versions for Macintosh and Windows both cost $19 (£12 at current exchange rates). The iOS version costs £4.99 from the iTunes store and the Android version costs £4.29 from the Google Play store. For the purpose of this review, we will be looking mainly at the Android version of the software, tested on a Motorola Moto G 4G handset. Upon launching the Douglas Photo Calculator on an Android device for the first time, you're greeted with a licence agreement, which is easily dismissed, and doesn’t show again so long as the app is installed. 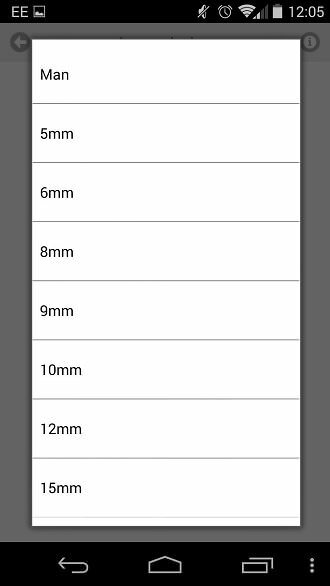 The first screen of options to set up the app, including language, film format (or sensor size, if you prefer), units of distance and resolution. If you’re unsure what to do with the resolution setting, an explanation can be found on the info screen by tapping the ‘i’ icon in the top right hand corner. This explanation basically tells you to leave it alone, unless you know what you’re doing, which is sound advice. The same warning appears as a speech bubble if you hover your mouse pointer over the setting on the Mac, or Windows versions. Tapping OK takes you to the main screen where calculations are performed. 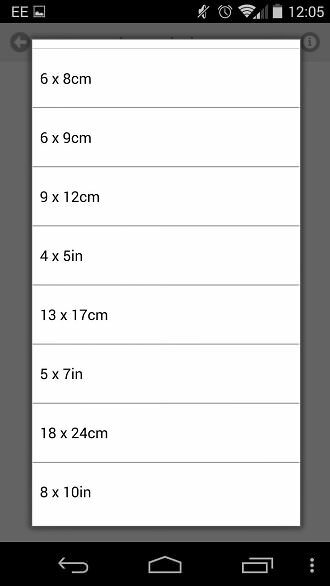 On the Android version, at least, the design and placement of the various fields is a bit higgledy-piggledy, with none of the fields appearing to be aligned to each other once you get past the first three rows. Even so, the controls are easy to use, and values are easy to select. 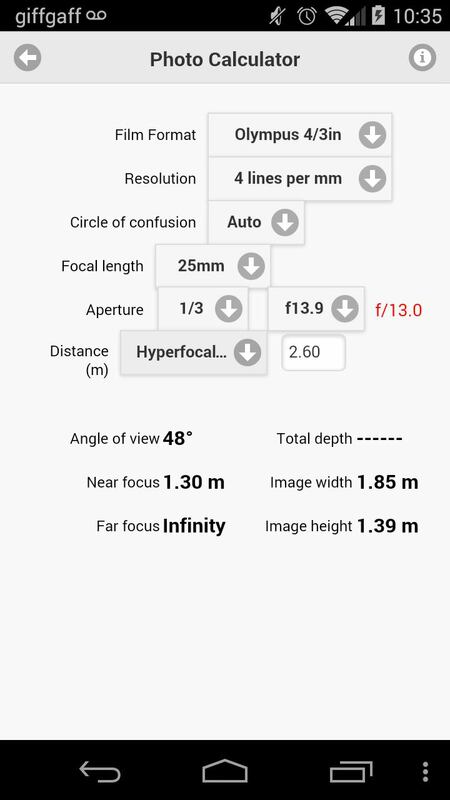 If an aperture small enough to cause issues with diffraction is selected, the app usefully highlights this by displaying the minimum recommended aperture value in red next to the selected value. A wide range of input options available. A wide range of input options available, with even large format user being catered for. Selecting values for the various input fields is easy thanks to a clear layout of options. Input fields don’t appear to be aligned to each other, which looks a little strange, but doesn’t have a detrimental effect on using the app. On desktop versions of the calculator, an explanation of the resolution field appears as a speech bubble. Calculations for hyperfocal distance are straightforward to perform and there is no lag in the operation of the app. The desktop version is a very lightweight applet, which should be able to run on even very elderly computing equipment, without hogging valuable resources that could be used for processing files quicker, as an example. The sheer amount of input options make this app stand out from similar offering available for mobile phones, and will be especially useful for those using a wide variety of camera formats, such as university students who will be exposed to a wide variety of cameras and image formats during their studies. The app is easy to use, and has enough customisation to satisfy the needs of photographers of any level. Some may question the value of a paid app like this, seeing as there are many free options available. The difference is in how well the app works, and how easy it is to extract the required information. This app excels in both areas. 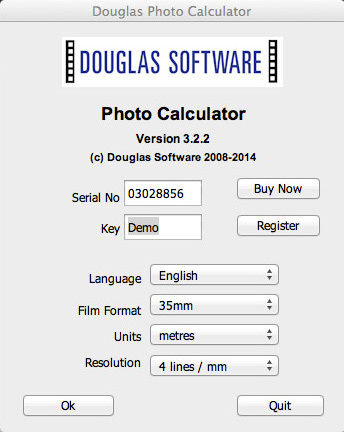 Douglas Software Photo Calculator is easy to use and works extremely well with a vast array of input options.